The decision will determine the legal battlefields on which employment class action and other litigation involving multistate corporations will be fought. Most corporations see federal courts as the friendlier forum, while plaintiff’s attorneys typically see state courts as more sympathetic to their causes. Justice Steven Breyer writing for the Court noted, "Our test nonetheless points courts in a single direction, towards the center of overall direction, control and coordination. Our approach provides a sensible test that is relatively easier to apply, not a test that will, in all instances, automatically generate a result." The case arises from a lawsuit brought by two Hertz employees, the car rental company, in California who sought damages and relief for themselves and a potential class of California citizens for violations of that state's wage-and-hour laws. The case was originally filed in state court but then removed by Hertz to federal district court pursuant to the U.S. Class Action Fairness Act. The 9th U.S. Circuit Court of Appeals had used the "substantial predominance" of activities test; including facilities, employees and revenue. The 9th Circuit had held that Hertz's principal place of business was California, even though the company is incorporated in Delaware and has its headquarters in New Jersey. This ruling vacated the 9th U.S. Circuit Court of Appeals decision, the most often reversed circuit in the country. The federal diversity statute states that a corporation is a citizen of its state of incorporation and of the state where it had its "principal place of business," but until this ruling that second category was never clarified by the high court. 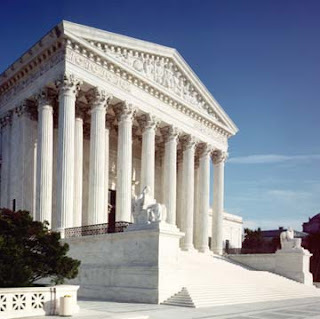 Common Sense Counsel this case is one of the most highly significant cases to come out of the United States Supreme Court this term for Alabama employers. If you are subject to litigation out of state, and your headquarters are located in the State of Alabama, or Alabama is your State of incorporation, then you are advised to have your attorney look closely at this decision to see whether a request for change of venue is appropriate, or whether dismissal should be sought. Any litigation your company is currently involved in out-of-state should be carefully examined as well.